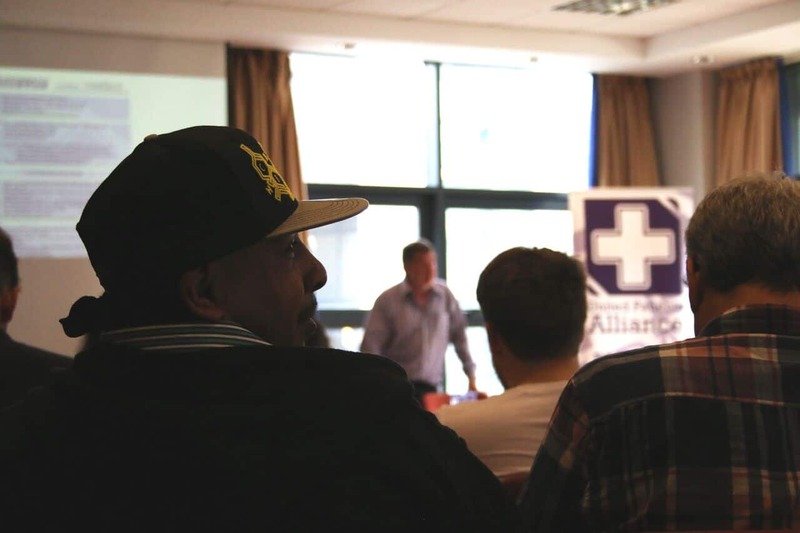 On Sunday the 16th of September I attended the United Patients Alliance’s AGM in Brighton. The day started off by having a nice chat with other patients at the event before we were seated and welcomed by the UPA Director Clark French. Clark kept it short but passionate, saying about how never in history has the door to parliament been open for Cannabis campaigners during times of change, and that we are being listened to even if not as much as we’d wish for and how we all need to join together and push this next stretch. Clark also mentioned how our biggest opponent in parliament right now is Theresa May – surprise surprise, given that her husband has large shares in the UK cannabis industry. Clark then introduced Prof Mike Barnes. Mike Barnes, UPA Patron, reiterated the point of how important a time this is in the history of the Medicinal Cannabis community in the UK, how we have a door open and we need to use it. Prof Barnes walked us through the past few year’s events, up to now with the government finally and publicly recognising cannabis as having medicinal value. 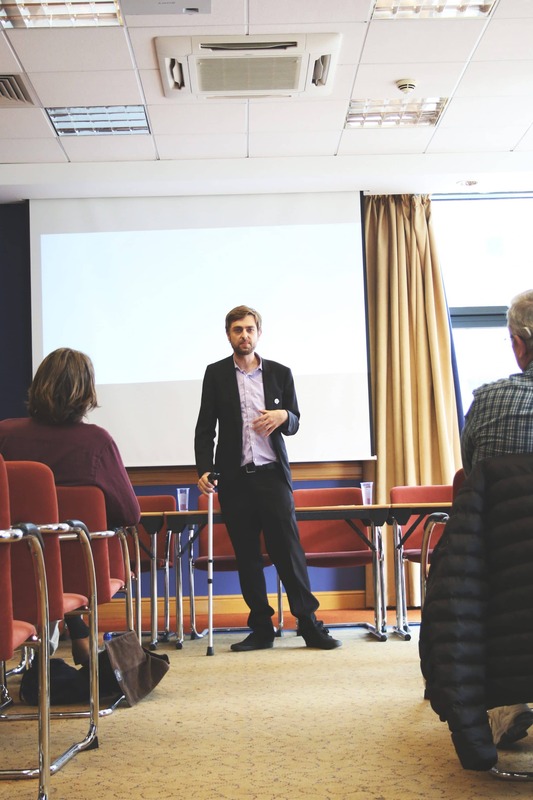 He then went on to express his concerns with what is currently happening, about how only chronic pain, spasticity, nausea and child epilepsy have been recommended to be the grounds to prescribe a Cannabis derived medicine, leaving so many patients behind. Mike also spoke about the need for Full-spectrum cannabis oils and good manufacturing practices, and the fact that patients need more than just oil and capsules – some may need bud in its raw herbal form, or the option to consume edibles, topicals, or other methods of consumption. 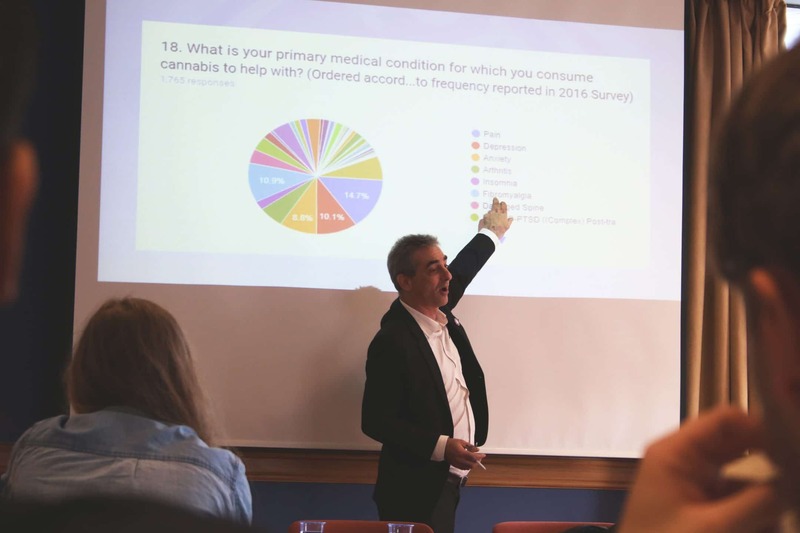 Also discussed was the lack of knowledge from healthcare professionals on the topic of cannabis and how we need to educate them, which Prof Barnes is looking to do and for which we thank him for very much. 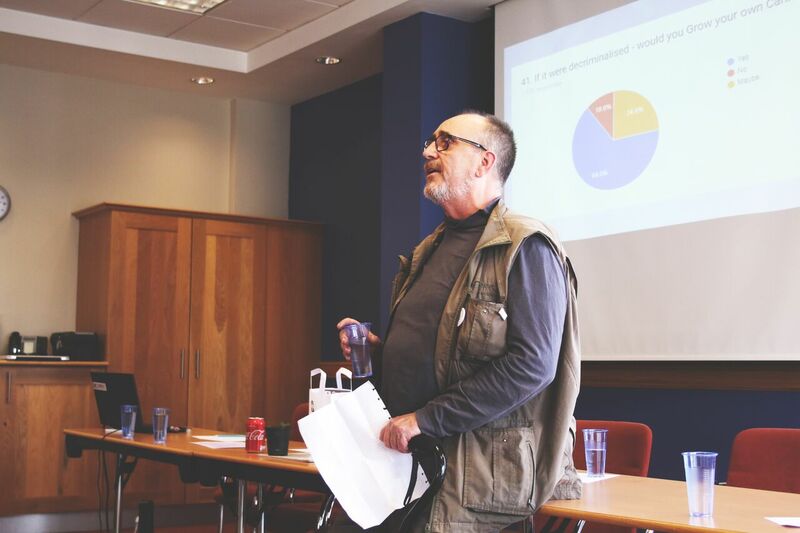 Jonathan Liebling, UPA Political Director, then gave us a sneak peek at the 2018 UPA patients survey which will be published soon. 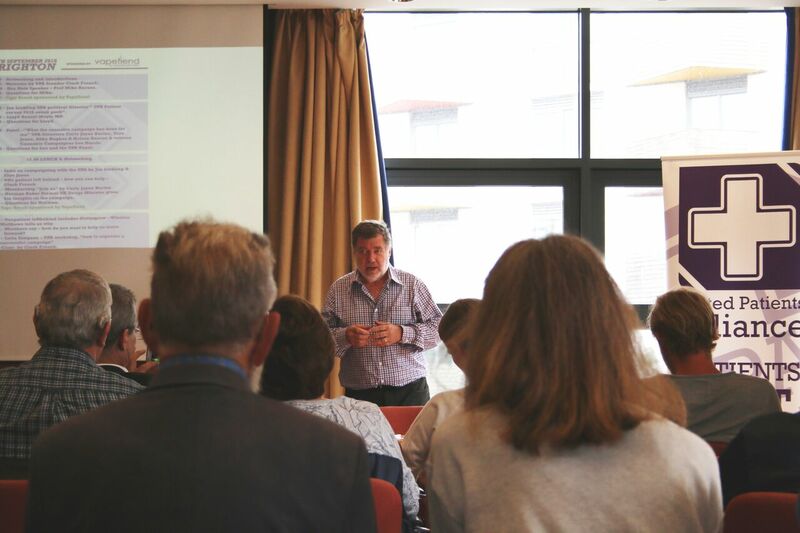 We were shown a preview of a few results given from over 1700 patients across the UK, including how 76% of medicinal cannabis users report significant improvement which compared to the 8.8% that reported the same on prescription medication. This is clear evidence that we need our medicine now. The next survey result that really caught my interest was how many people told their Doctors they take cannabis medicinally. A total of 48.4% of those surveyed had not told their Doctors. The UPA does encourage medical cannabis patients to tell their healthcare team they use cannabis, as it is so vital that Doctors get educated on the topic and also see how many of us really do need our medicine legally and safely. Keep your eye out on the UPA social media for more on the survey! 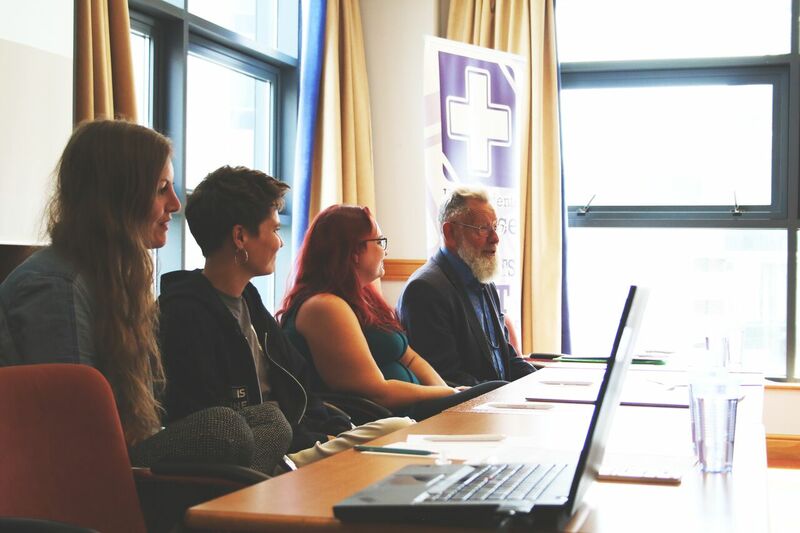 Brighton Kemptown MP Lloyd Russel Moyle was in attendance to take us through the workings of parliament and what is happening within Westminster, and how communities view on drugs are changing (and that parliament is recognising this). 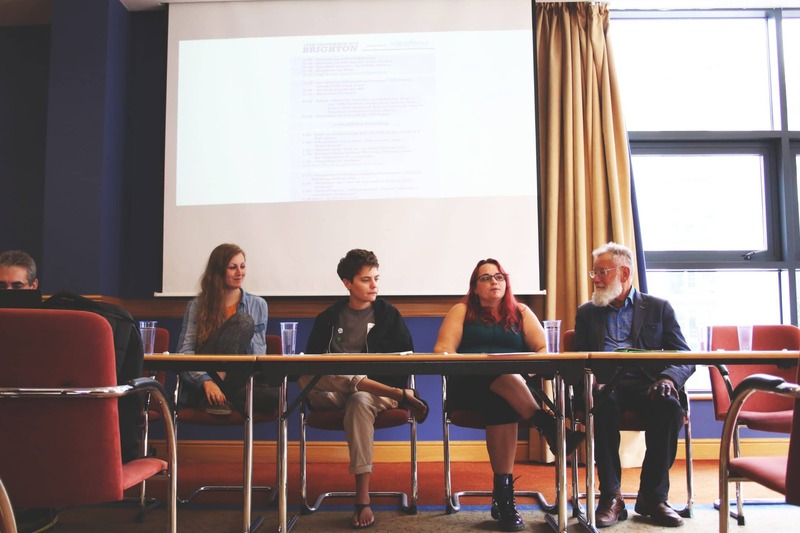 A panel consisting of UPA Directors, Carly Jayne Barton, Faye Jones, Abby Hughes and veteran cannabis campaigner Lee Harris talked about life as a cannabis campaigner next, with the general consensus being that it has given people more confidence, especially by not being ashamed or feeling the need to hide the fact they consume cannabis to lead as healthy a life as possible. 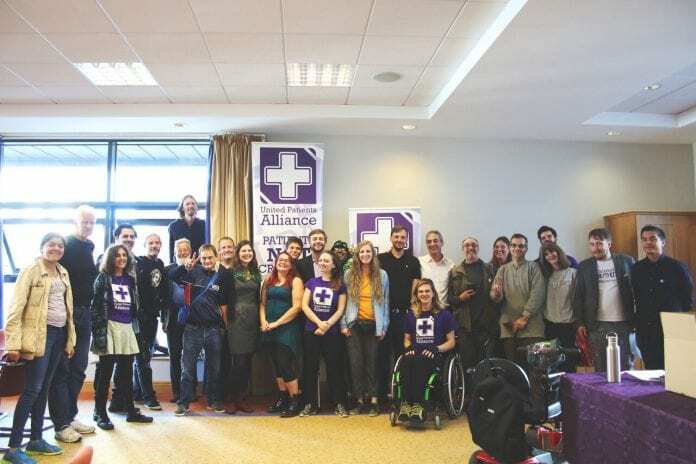 It has also provided an increased knowledge on cannabis and its many amazing properties, and also friends and community gained throughout the time campaigning as we have seen the support for medical cannabis grow and grow. Jon Liebling was up once more to talk about ways everyone can do their bit to help us get to the day we end prohibition together. If you know a business or organisation that can give us support to put us in touch. There is always a way for people to help! 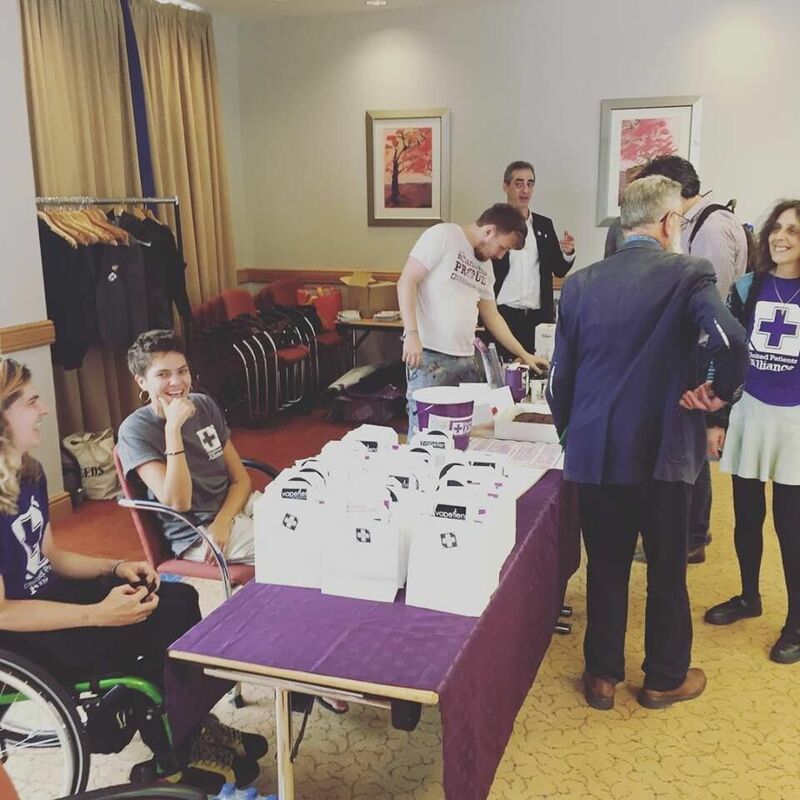 On 6th July we launched #NoPatientleftBehind in parliament. Clark told us more on our pledge that is not to stop campaigning until every patient in the UK can get legal access to the cannabis that helps them, including the right to grow your own. Clark recognised there is a long way to go but we won’t leave any patient behind. Veteran cannabis activist Winston Matthews then told us about our #LetUsGrow campaign, and the need for the right to grow your own cannabis medicine, also including an excellent point that growing the plant you medicate with is therapeutic in itself. This was very popular among those in the room. Norman Baker, the Former UK Drug minister, who was also in attendance at this year’s UPA AGM gave a speech on his insights on the campaign. Norman allowed the UPA to be given a voice from the very start after meeting with Clark and being very impressed by the organisation. He talked about how he feels the Misuse of Drugs Act was one of the worst acts of law passed in the UK, and that it is “inhumane and wrong” to not allow people the medicine they need. Carly Barton then gave us a quick rundown on the Launch of the brand new memberships: For £20 a year you can join the UPA and have a voice in our future. The membership includes a cool enamel member badge, a membership card, which we hope can give people a break from the anxiety in times they require medicating in public, plus a 10% discount to UPA sponsor vapefiend. 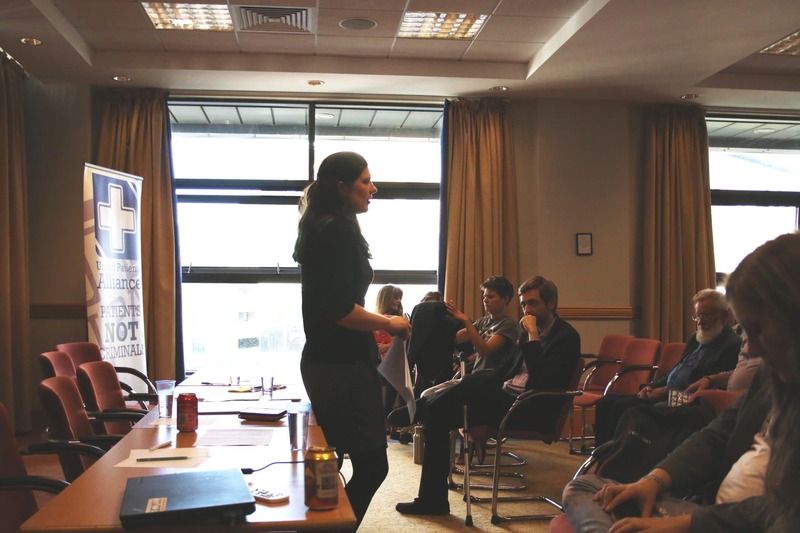 Lelia Simpson led a workshop for us on “how to organise a successful campaign”, giving us tips on the best way to organise ourselves, asking Clark to outline what our structure is currently and the roles of the different teams within the UPA that make this campaign so successful. Clark also expressed the need for a Media Director, Event Director and Membership Director (Given Carly’s promotion to Deputy-Director, congratulations to Carly for that!). He also expressed that we all need to work together and how important it is to have people working alongside us, as if we all work together we can be tireless advocates. We split into groups to talk about the different teams we wanted to be a part of; I went with Jon and we talked about the Political role including how much research there is and the best ways to work alongside MP’s and politicians rather than against them. With two more people (including myself!) joining Jon on the political side of things, opening doors into parliament is hopeful. Overall, I had a great day at the United Patients Alliance Annual General Meeting. there was a lot to talk about, and we heard a ton of exciting stuff and how everyone can get involved. I made lots of new friends and overall was it very exciting as it was my first UPA event that I was a part of. They are the most welcoming and friendly team I have had the honour of working with, and I truly believe all cannabis patients are in good hands as long as we keep working together to make sure that no patient is left behind.